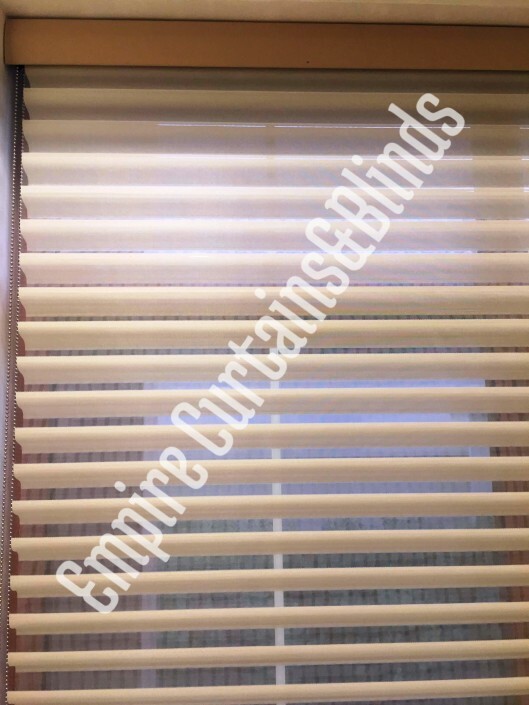 Newly high tech technology for window coverage, consisting of a fabric with alternating bands of transparent and opaque material, and arranged in two layers. 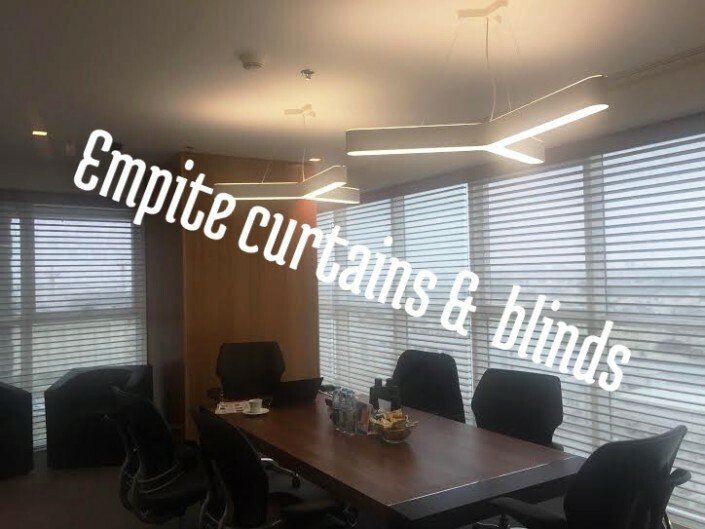 Such blind when raising and lowering the constantly shifting fabric strip to one another, allowing you to change the illumination of the room depending on the location of these bands, so they are also called blinds day night. 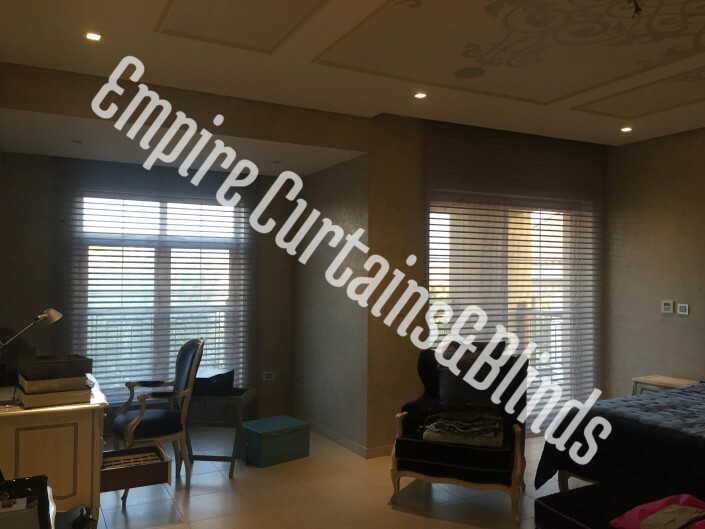 We understand the customer needs in Dubai and so our Fabrics for the blind possess anti-dust and anti-static properties, so you can easily take care of them, to clean these fabrics rather use a dry brush, and even stubborn dirt is easily removed with a damp sponge usual. Duplex Blinds controlled by a chain mechanism, it is very convenient because you can adjust the lifting or lowering blinds and light output at a time, and automatically lock allows you to leave the level of the length that you need, you just let go of the control circuit. Also could be done by motorized system controlled by remote or even through app and android application. Our shop in Dubai UAE, has huge collection of fabric and material to choose from you I’ll not get disappointed and find you own style. Duplex Blinds “Day & Night” is significantly different from the usual and conventional components used for textile processing plastic windows. These designs look very unusual and effectively and in accordance with our Dubai based customer reviews, different weight of fine functional advantages. 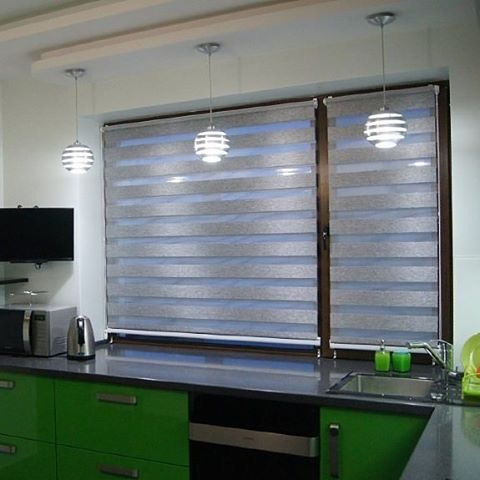 How does duplex blinds look like “day-night”, you can see from the presented visual picture. Their main feature is that they give you the ability to self-regulate the level of light entering the room. Until recently, it seemed very difficult and challenging, but with the advent of blinds “day-night” This problem has been resolved. Now you yourself can determine how much light is in your home in Dubai. Construction blinds “day-night” usually consists of two different webs of material that are successive equidistant transparent strip. Thus, when minimized or lowering the surface of paintings, you can achieve the effect of light exposure necessary to adjust the intensity and penetration of sunlight into the room. Feedback from our users from Dubai, it is very convenient and practical. On the submitted photo you can see how it looks this design. Decoration of windows in a similar way – very reasonable and modern solution. It will allow you to adjust the amount of light coming into the room, creating a very comfortable life and harmonious space where you will always feel quite comfortable. In addition, the windows are decorated with such design always looks very stylish, unusual and impressive, giving your room a modern and actual sound and a little bit of individual style. 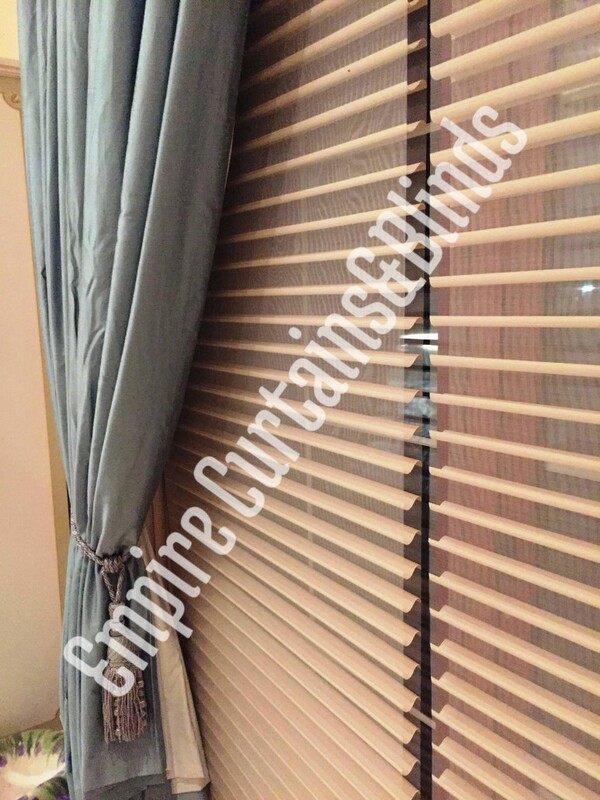 Now you can easily book an appointment online and we will do the duplex blind installing consultations. Just Fill out the time needed to proceed. We are happy serving our clients.